WASHINGTON (April 1, 2019) — Today, the U.S. Environmental Protection Agency (EPA) announced significant accomplishments at two Superfund sites on the Administrator’s Emphasis List of Superfund Sites Targeted for Immediate, Intense Action (Administrator’s Emphasis List). After achieving critical short-term milestones, the Madison County Anschutz Mine, Fredericktown, Missouri and Tar Creek, Ottawa County, Oklahoma were removed from the list. One site – Olin Chemical, Wilmington, Massachusetts – was added to facilitate cleanup and redevelopment activities. With this update, there are a total of 15 Superfund sites on the list, and a total of 13 sites have been removed from the Administrator’s Emphasis List since December 2017 because the short-term milestones were achieved. The Madison County Anschutz Mine was placed on the Administrator’s Emphasis List to promote the timely implementation of a property-wide cleanup of historical surficial mine waste contamination proposed by the new owners, which will also allow for the beneficial re-use of the property and potentially create significant economic benefit for the local community. The new property owners intend to re-open a former cobalt mine, which could employ hundreds of residents. EPA and the new owners signed an Administrative Settlement Agreement and Order on Consent to conduct the work. Sitewide, the EPA has completed the remediation of over 626,000 cubic yards of soil at more than 1,900 residential properties in and around Fredericktown, in addition to cleaning up approximately 87 acres of mine waste. EPA’s response actions have resulted in a significant reduction of elevated blood lead in children throughout Madison County where the percentage has dropped from around 27 percent in 1996, to less than 2 percent today. EPA released a draft strategic plan to advance the cleanup of the Tar Creek Superfund site on March 11, 2019. The release of the strategic plan fulfills two major milestones identified for the site on the Administrator’s Emphasis List. The first milestone required identification and evaluation of opportunities to accelerate site cleanup. The second milestone compelled EPA and the Bureau of Indian Affairs to work with the Quapaw Nation to establish the tribe’s ability to establish institutional controls on their properties. Some near-term cleanup actions include the partial deletion of up to 5,000 acres, amending the 2008 record of decision for mining waste, and issuing a new record of decision for the watersheds. Long-term actions include exploring innovative technologies to expedite the cleanup and identifying additional re-use opportunities. Prior cleanup activities at the site resulted in a significant reduction of elevated blood lead levels in children from 35 percent to 4 percent. The Olin Chemical Superfund site was added to the Administrator’s Emphasis List with the goal of expediting the selection of a remedy to remediate soil, surface water, and areas of highest groundwater contamination. EPA also hopes to work cooperatively with developers and local officials regarding potential reuse plans for the former Olin property The site was originally added to the National Priorities List in April 2006. Under the Trump Administration, the Superfund program has reemerged as a priority to fulfill the EPA’s core mission of protecting human health and the environment. 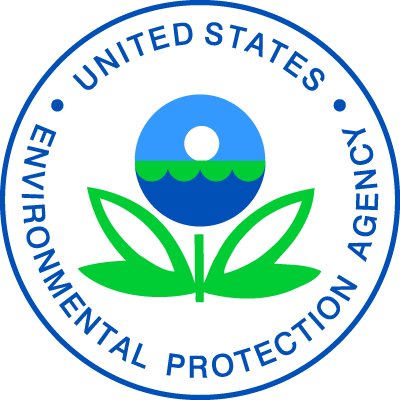 EPA established the Administrator’s Emphasis List in December 2017 in response to recommendations from EPA’s Superfund Task Force. Each site on the Administrator’s Emphasis List has a short-term milestone to provide the basis for tracking progress at the site. EPA will consider removing a site from the list once the milestone is achieved. Removal from the Administrator’s Emphasis List does not change the site’s status on the National Priorities List.